We hope that all members of the RHS community have enjoyed fabulous summer break and we look forward to welcoming happy, rejuvenated and excited students and staff to another great year at Richmond Secondary School on Tuesday, September 4. 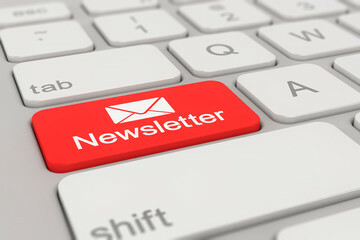 Parents, students and community members are invited to keep up-to-date with all that is going on at Richmond Secondary School by reading our monthly digital newsletters (look under PARENTS on the menu bar above to read previous newsletters). Please read our BACK TO SCHOOL August 2018 edition by clicking on the "Attachments" link below. The Richmond School District, in partnership with other groups, will host a 'transitions fair' to support students with diverse needs, and their families, as they look ahead and prepare to transition to life after high school. This free event will be on Saturday, April 27 at Hugh Boyd Secondary School. The "Looking to the Future Fair" will feature keynote speakers and 20 different exhibitors. The Board of Education (Richmond) officially recognize Saturday, April 28, 2019 as the National Day of Recognition for Workers Killed or Injured on the Job with a one-minute cessation of work at 11am on Friday, April 26, 2019; AND FURTHER THAT flags in the district be lowered to half mast on that day. Grade 12 I.B. students write comprehensive final exams from May 2 to May 24. Exams will be held in the small gym - students are reminded to check the posted schedules carefully. Ramadan month begins at sundown on May 5 and goes until June 4. Ramadan Mubarak! Grade 7 Hotdog & Fun Day! We look forward to hosting all incoming Grade 7 students for our annual "hot dog & fun day" at RHS.